I absolutely love teriyaki sauce. It’s sweet, savory, and gives this chicken awesome flavor. I chose to use chicken legs because it is what I had on hand, but you can use any part of the chicken you like. Thighs, wings, leg quarters, or breasts would all be great. If you choose to use a thicker breast, you will have to adjust your cooking time. You can use more or less chicken, just adjust the teriyaki sauce amount to ensure all sides of the chicken are covered to marinate. Place the chicken in a gallon-sized Ziploc bag, and pour in the cup of teriyaki sauce. Shake the bag around to make sure the sauce covers all sides of each piece of chicken. Marinate for at least 1 hour in the fridge. Place the chicken on a baking sheet or on a shallow casserole dish, and pour some of the marinade over the chicken. Cover with foil and bake for 30 minutes, flipping the chicken over halfway through cooking time. Remove from the oven, remove foil, and flip the chicken back over to the original side. Check the chicken for doneness. Internal temp should read 165 degrees F.
Set the oven to high broil. Brush some extra (fresh) teriyaki sauce over each piece of chicken. Broil the chicken until the teriyaki starts to glaze and bubble. Watch this closely, it should only take a few minutes. The brand of teriyaki sauce makes a huge difference in this dish. We only use Soy Vay brand in our house. We love their Veri Veri Teriyaki and Island Teriyaki sauces. The Island version is what I used on this chicken. What makes this sauce so much better than any other brand are the awesome, chunky spices that they leave in for texture and flavor. See all of those in the picture? Yeah. I added absolutely nothing but this sauce to this chicken. That’s pretty impressive, right? The Island Teriyaki has bits of pineapple, onion, garlic, and ginger. Plus, toasted sesame seeds. (I’m a sesame seed freak. I can’t explain it.) This sauce is preservative free, so it won’t last as long in the fridge as other sauces (it recommends no longer than 2 weeks after opening.) Believe me, it won’t last long anyway. You’ll find reasons to use this stuff, and it’ll be gone in no time. This pairs nicely with rice and a fresh veggie on the side. 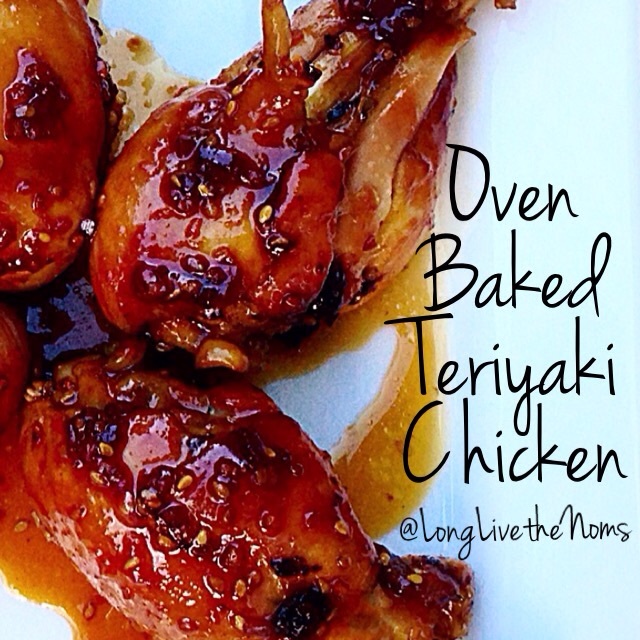 Posted in DinnerTagged chicken, dinner ideas, easy recipes, teriyakiBookmark the permalink.